Drones go places cars can't. Apple has been working to dramatically improve its Maps app ever since it’s botched launch back in 2012. And it’s been successful: Maps is now packed with great features, thanks in part to Apple’s fleet of minivans capturing on-the-ground data. But it’s still not Google Maps, so Apple has a new plan. According to Bloomberg, the company is reportedly planning to use drones to quickly update Maps with fresh data, like road conditions, street sign changes, and construction updates, and other information that car cameras would have difficulty photographing. Last fall, Apple applied for permission from the Federal Aviation Administration to fly its drones for commercial purposes, back when that was restricted. Now the FAA has guidelines in place for commercial drones, but the rules prevent companies from flying drones over buildings or people. Apple isn’t just trying to beat Google at its own outdoor mapping game. The company is also trying to compete with indoor mapping, which would let you use your iPhone to find your way around large, busy buildings like airports and museums. The technology comes courtesy of indoor mapping startup Indoor.io, which Apple bought last year. Apple has been interested in indoor location-tracking for years, using the iBeacon protocol with indoor positioning to allow venues to send notifications when you’re near a physical Bluetooth touchstone (and have Bluetooth turned on with the venue’s app installed). We saw this in action with MLB’s At the Ballpark app at Citi Field, home of the New York Mets, back in 2013. Google Maps already offers indoor maps, and it’s unclear if Apple’s will be more sophisticated or simply on par with the competition. 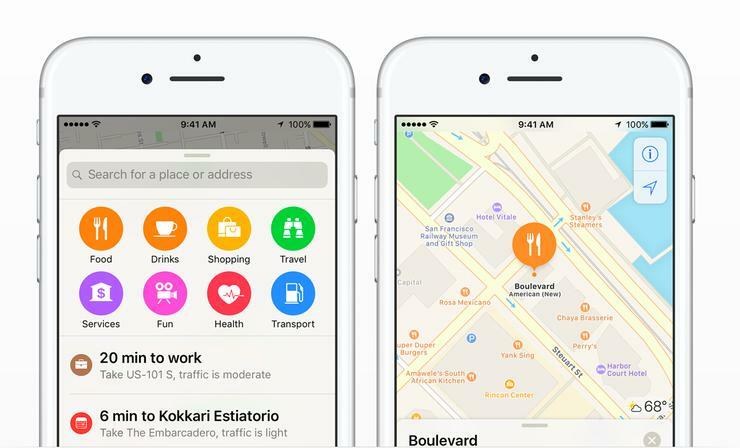 Either way, Apple’s rumored Maps upgrades are significant, and a sign that Tim Cook and co. really are betting big on services—even ones that don’t contribute outright to the company’s bottom line.